Here at Porsche of New Orleans, we offer multiple new Porsche models, ranging from the 911, Boxster, Cayman, Panamera, Macan and Cayenne. Whether your focus is good fuel economy, a spacious interior or horsepower and acceleration, we strive to provide the vehicle that fits your needs and accommodates your lifestyle. We also feature pre-owned vehicles with low mileage rates. You’ll never have to compromise on quality when you are shopping with us because each used Porsche that we offer drives like new. Sound too good to be true? Don’t take our word for it. 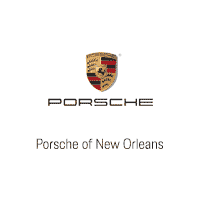 Visit Porsche of New Orleans today, or contact us when you’re ready to take one for a cruise around Louisiana. As a Porsche owner, you possess a vehicle that exudes style, class and sophistication. Our dealership is one that appreciates the elegance and craftsmanship of this luxury vehicle – down to every intricate detail that sets it apart from all others. Dreamers. Visionaries. Innovators. Visit Porsche of Metairie in Louisiana to make your selection today. Whether you’re located in Metairie or driving from an area nearby like Harvey, Marrero or Laplace, LA, we are the perfect place to make your Porsche fantasies a reality. Aside from our premier inventory and excellent customer service, we offer quality Porsche servicing, parts and Tequpiment accessories to help provide an exceptional driving experience. Porsche is our expertise. Our professionals are well trained, knowledgeable and happy to assist you in your search for the vehicle you have always wanted. Thank you Sean, loving the new Boxster!Awesome ride. Professional and super efficient service from everyone. Other than being a very expensive maintenance, service was excellent. Excellent customer service! Friendly and professional.